The Northern Cape is one of South Africa’s biggest and most sparsely populated provinces but it is well known for its mining industry, particularly diamond mining. Home to a vast portion of the Karoo, the Northern Cape has recently been caught up in the Karoo fracking melodrama but, with tenders like the R1.5-billion Barloworld for the Vedanta Gamsberg open-pit zinc mine project just south of the N14 national highway linking Upington to Springbok, it seems the Northern Cape legacy as a bountiful province will continue. Kimberley, the Northern Cape’s capital city, is located about 110km from the confluence of the Vaal and Orange rivers. It is also South Africa’s original diamond town – the first recorded discovery of diamonds happened on the banks of the Orange River in 1866, when Erasmus Jacobs found a brilliant pebble, which later proved to be a 21.25-carat diamond known as the Eureka. Three years later, an 83.5-carat diamond was found nearby. That diamond became known as the Star of South Africa and, in 1974, it was sold on auction CHF1.6-million Swiss francs (GBP2.1-million in 2015). Kimberley is also where, in 1888, British businessman Cecil Rhodes founded De Beers. In 1926, Ernest Oppenheimer, a German immigrant to Britain who had earlier founded mining giant Anglo American with American financier JP Morgan, was elected to the board of De Beers. He built and consolidated the company’s global monopoly over the diamond industry until his death in 1957. In 2015, his grandson Nicky Oppenheimer was named South Africa’s second wealthiest billionaire, with an estimated net worth of R6.7-billion. 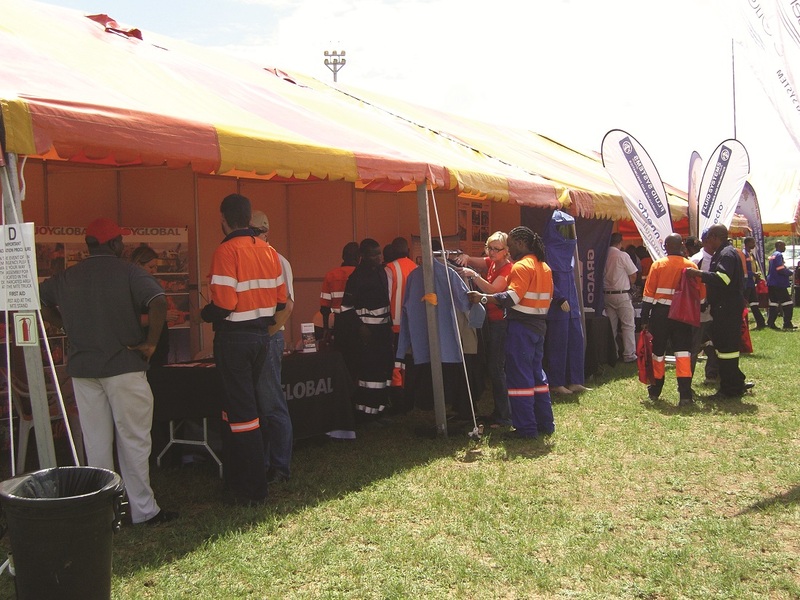 Exhibitors should include companies that supply equipment or products to the diamond mining industry mines, or that supply equipment or products that can be used in the diamond process. Kimberley is South Africa’s original diamond town, so if you’re involved in that business, this is the expo for you.